DR.MANFRED GERSTENFELD INTERVIEWS RIFAT BALI ABOUT THE PLIGHT OF TURKISH JEWRY…….. – The Tundra Tabloids……. DR.MANFRED GERSTENFELD INTERVIEWS RIFAT BALI ABOUT THE PLIGHT OF TURKISH JEWRY…….. It is rare that a Turkish Jew dares to be so open. This was published on Friday at the Israel National News website, and republished here with the author’s consent. The Turkish Jewish community’s troubles, and collusion, with the government of Turkey, that’s openly hostile towards Israel, mirrors exactly that of the Iranian Jewish community’s relation with the regime in Tehran. Just last week the Tundra Tabloids exposed to the English speaking internet the article published by the Finnish media standard bearer, the Helsingin Sanomat, which depicted Jewish life in Iran to be great. The journalists interviewed the most well known Jew in Iran, Maurice Motamed, a former MP in the Iranian parliament who on previous occasions has spoken warmly of the Iranian regime, and disparagingly of the Israeli government. Well, Turkey has similar voices who are more than willing to do the same, but there are some truth tellers who indeed reject the lie, and dare to tell the truth. Here is one such fellow, and who does so with great risk to himself, Mr.Rifat Bali. Rifat N. Bali is an independent scholar. He is a Research Fellow of the Alberto Benveniste Center for Sephardic Studies and Culture in Paris. 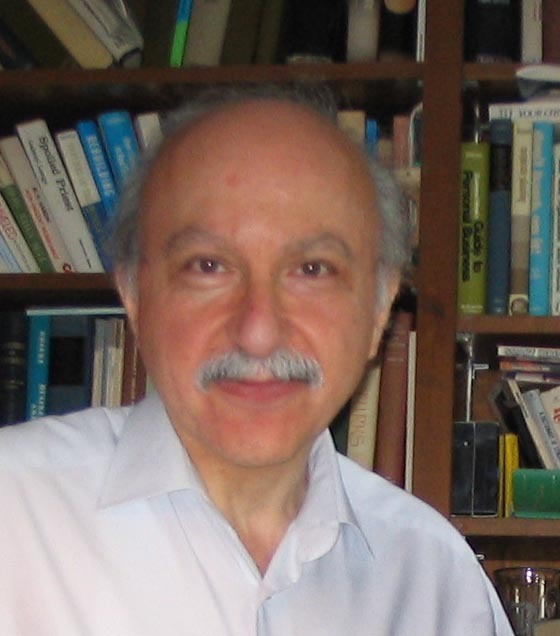 He is the author of numerous books and articles on the history of Turkish Jewry. “On 31 May 2010, the Israeli Defense Forces stopped the Turkish Mavi Marmara ship of the flotilla of the Free Gaza Movement and the Turkish Foundation for Human Rights and Freedom and Humanitarian Relief (IHH). In the ensuing fight, eight Turkish nationals and one Turkish American were killed. “This became a critical moment for the Jewish community. The Turkish public perceived the incident as the murder of Muslim Turks by the Jewish army. A new wave of anti-Semitism and conspiracy theories appeared in the Turkish media and were supported by public figures. One conspiracy theory was that Israel was behind the separatist Kurdistan Workers Party’s (PKK) attack on a Turkish military base which occurred a few hours after the IDF intervention on the Mavi Marmara. “Besides this declaration, the Jewish community tried to keep as low a profile as possible. This void was filled by two Turkish Jewish public figures. Mario Levi is a well-known novelist. He told the Italian daily ‘La Repubblica’ that, ‘As Jews in Istanbul, we are in solidarity with the people in Gaza.’ He added that he did not think there was anti-Semitism in Turkey. “Roni Margulies is a Jewish Trotskyite poet and a columnist at the liberal-leftist daily Taraf. He stated that he approved of the Gaza flotilla, disapproved of Israel’s raid and wished he could have been there. He remarked that ‘For a Jew, Israel is the most dangerous place to live in the world and Israel is a danger to world Jewry.’ Both Levi and Margulies’ statements were well received by the Turkish media. The Mavi Marmara incident has thus shown again, that the Turkish public and media see an anti-Zionist as a good Jew and a pro-Zionist as a bad Jew. “In such an environment, the leadership of the Turkish Jewish community cannot reach out to Turkish society. In order to preserve the identity of the Turkish Jewish youth, Zionism and an attachment to Israel are two main themes taught to them. Jewish parents however, counsel their children not to display Star of David necklaces in public and to ignore as much as possible the hateful criticism of Israel in the Turkish public sphere. “The Turkish Jewish community has one element of added value for the government. It is expected to help convince American Jewish organizations to use their influence to block the official recognition as genocide by the U.S. Congress of the 1915 murderous deportation by the Ottoman Turks of the Armenians. Next Post Next Post FINLAND: DEMOGRAPHICS FOR FOREIGN SPEAKERS CATCHING UP TO SWEDISH SPEAKERS…….